Mads Kaltoft‘s love for wood and craftsmanship is obvious. Just look at the house he designed and built. 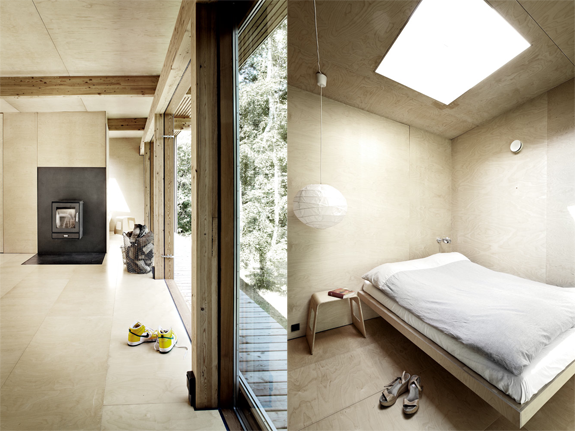 The walls and floors are all made from birch veneer, creating a peaceful and minimalist interior. 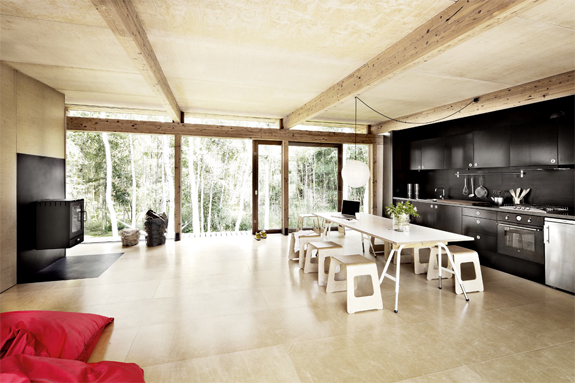 The large windows and sliding doors provide a fantastic view on the forest. 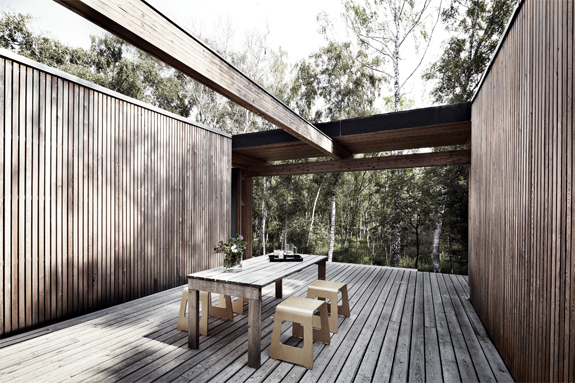 We can easily imagine long summer nights spent on that spacious terrace. Love it. 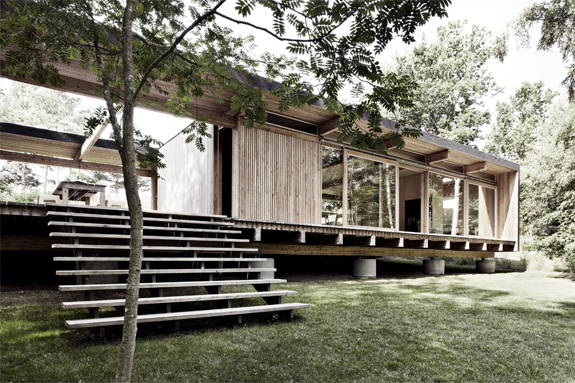 There is no other material as expressive as wood. The world of architecture/design would be soulless without it.